So I’m going to take a minute to discuss the two concepts in the title. For those of you that made it in here I promise I am not trying to be click-baitey with the title but I have thoughts on these three concepts that I wanted to discuss with the community. In this I will try to discuss some of the good points and bad points and of course my opinions. So let’s start, micro-transactions. With the rise of free to play games, (or pay to win games depending on the game and who you ask), these little intrusive prompts have made its way into main stream gaming. So what they are is the ability to buy certain perks, key items to progress and cosmetic gear from your favorite game or app. 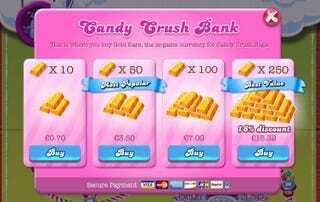 Personally, when I saw it applied to free to play games like Candy Crush I didn’t care. The app is already free so companies have to make their money some way right? But even when I played a free to play game, the option to pay for more airplane tickets was not the issue. My issue was outside of bombarding my friends with game requests, getting tickets sent to me from other people or waiting until the next day when the timers reset, there was no other way to progress in the game without buying what you needed. When the game is new and still popping that’s not an issue. Sure your friends may get pissed and say stop sending me these requests blah blah blah, but what about when the new flavor of the week comes in? The masses may have moved on from the game but this is your favorite app and you have no one to play with now. What are you supposed to do? Pay for the stuff you need to progress, wait for the daily slow slog of new chances to play or quit the game altogether. None of those options appealed to me so it’s safe to say that I don’t really play free to play games at all but I also do not criticize the people who do. On the flip side, some people may appreciate micro-transactions. I know people who say things like, they don’t have the time to grind away for secret costumes and other stuff we used to play games for hours to find and unlock. I understand that truly. We are adults with real life responsibilities and severely limited time even though we have more money. I have friends who state that they have the money to buy these features so if the game gives the option to buy what they used to grind for they are happy to be able to have the option. I agree with that too for the IRL reasons stated above. I guess my issue comes in when game companies, less the mobile free to play ones but the ones from studios that you pay 60 dollars for the base game, add micro transactions with NO WAY to obtain the items in game. That grinds my gears. The price appears to be reasonable or you could wait for the remaster that will include most of this lol. So let’s skip ahead to the downloadable content (DLC) portion of the story. It’s my understanding that DLC was designed to be an add on experience to a game. So for example, Last of Us added a content pack that told the story of Ellie before the events of the game and players could get a few more hours out of a game they enjoyed. You had to pay for it to be sure, but it added additional content to the main narrative that didn’t exactly have a place in the “main” narrative for a quarter of the cost. This concept may help developers complete the story that they wanted to tell without torturing themselves and the masses with a sequel. I’ll get to sequels in a second though. Do I agree with this approach? Yes when done in this manner. In the past, we only had fanfiction to fill in the blanks of the games we loved and had to pray to whatever developer for the rest of the story in a sequel. In my opinion, if developers are able to finish the story and give us something different in their next game, whether it’s a direct sequel or not, then it’s a better experience for us as the gamers. It may even allow for them to polish up some issues from the initial release of the game and test out some new mechanics for their next project. Either way, the main thing that I like about it is that the main game that I paid my hard earned dollars for is FINISHED, COMPLETE, DONEZO and the DLC is optional. Yes some people may say, but it’s not fair I want to see it all which is cute but no ones problem. You got the whole game when you dropped your 60 dollars for it. The DLC is extra lore and not essential to the overall enjoyment of the base product. My issue comes in when developers try to disguise micro-transactions as DLC. Just look at all of this that they are calling DLC. For example, I love the Tales series as much as I love Final Fantasy but recently they have been one of the games that do exactly what I mentioned above mainly with costumes. I’m not exactly sure where the DLC/micro-transaction line is drawn but if I can only buy the costumes and not find them or grind for them in game at all I have an issue with it. Or, if there are only some costumes I can buy fine but don’t limit the amount of costumes found in the game so I have to pay for them later. To be fair, the Tales series does give out quite a few with pre-order bonuses or first week buys but what about people who are late to the party? I think what makes me upset about this series in particular is that funny costumes is a staple for the game so the fact that I have to buy most if not all of them now makes me sad and disappointed. Does the lack of in game grindable costumes in this series take away from the game? No, not for this series. The games are completely solid and usually a complete experience so not having these costumes does not ruin the game for me or make me question my monetary investment. But for this series and a few others that would hide things like this in game, it bothers me that they sacrificed a potential game play element for a cash grab. There was even an article that discussed how the DLC for this game cost more than the ACTUAL game. Talk about irony. With all of that being said, my thoughts are that there can be a place for both of these features without burdening the player. Do I mind micro transactions? No, but I do mind them if it’s used as a barrier to stop the players from completing the game and removes elements that should have otherwise been included in the game. Do I mind DLC? No but I do mind it if it removes story elements that should have otherwise been included in the game as a part of the main narrative and removed as a cash grab. I also have issues with both of these concepts if they somehow remove elements of a particular series that were staples in it before like certain costumes or give people an unfair advantage like over powered weapons or level skipping. At the end of the day, the main argument that comes up for both of these practices, especially the pay to win portion, is time that the player no longer has to play the game as intended. Which on a personal level I understand and can sympathize with but on the gamer level I believe that if you can’t play it as intended then you don’t play the game. It’s a sad sacrifice we have to make as adults but it may need to be done and the rest of the community should not suffer for the life issues of others. I think the joy of gaming is that as long as you have the hardware no game is completely out of your reach. You can’t finish a game right now? That’s fine. The download or the disk will be there whenever you can and that’s completely personal. Ultimately the practices that make gaming convenient for you may hurt the play base as a whole so whenever these players do make it back what environment will they be making it back to? I’m interested to hear what you guys think about DLC and micro transactions in general. Of course the things stated here are my opinions and perceptions of them as a whole but I welcome new perspectives about the topic. I’m sure there are things I haven’t thought of (I didn’t even touch on season passes :/) for either side of the discussion so please let me know what you think.